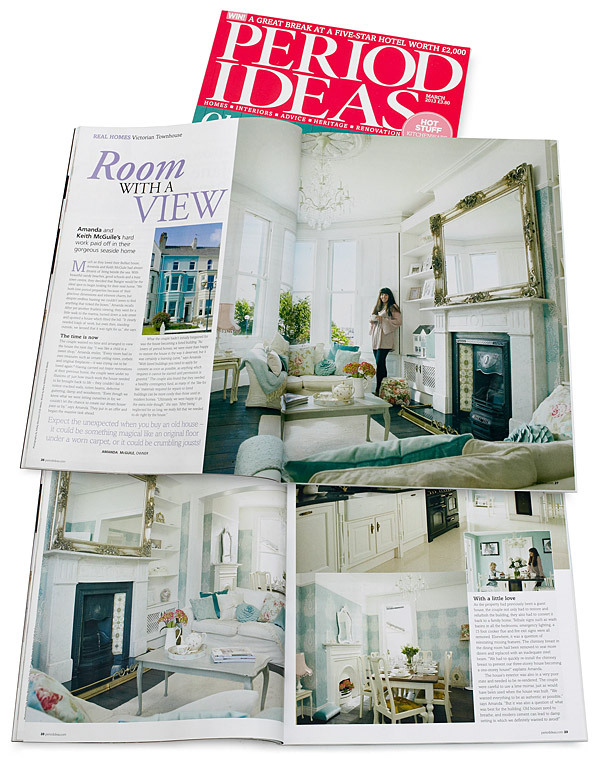 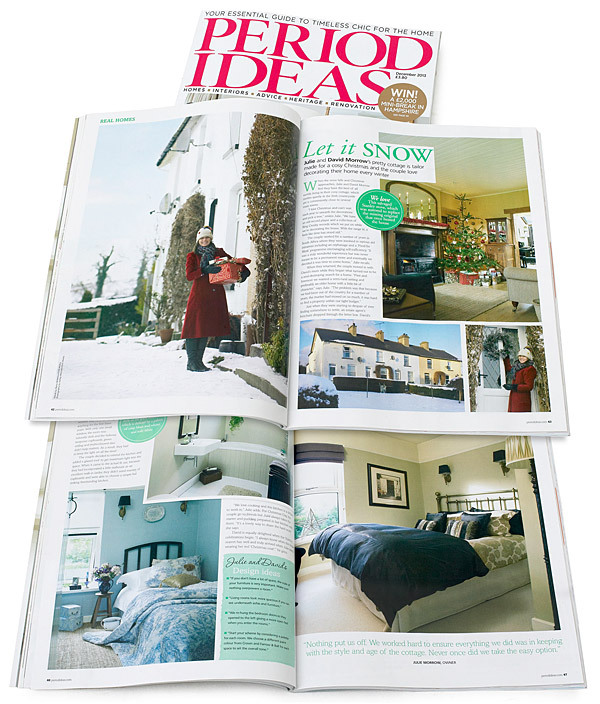 .. on pages 24 to 29 – featuring Julie and David Morrow’s two-bedroom terraced cottage near Comber in County Down. 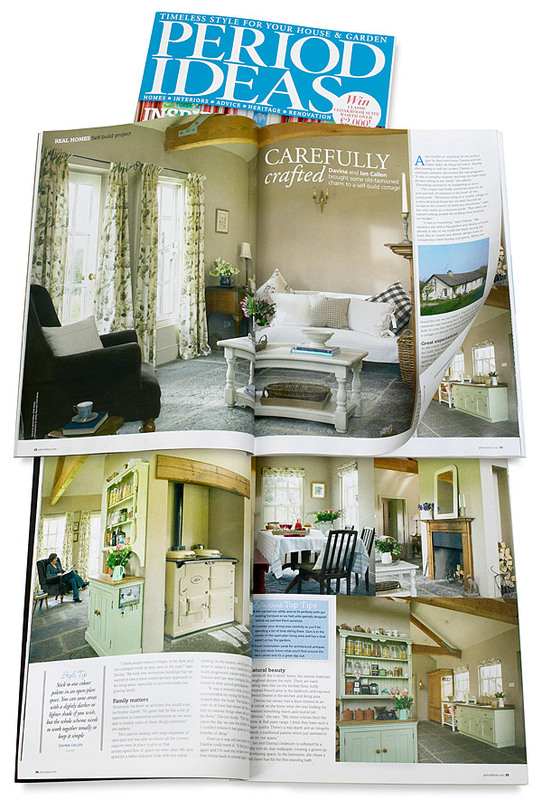 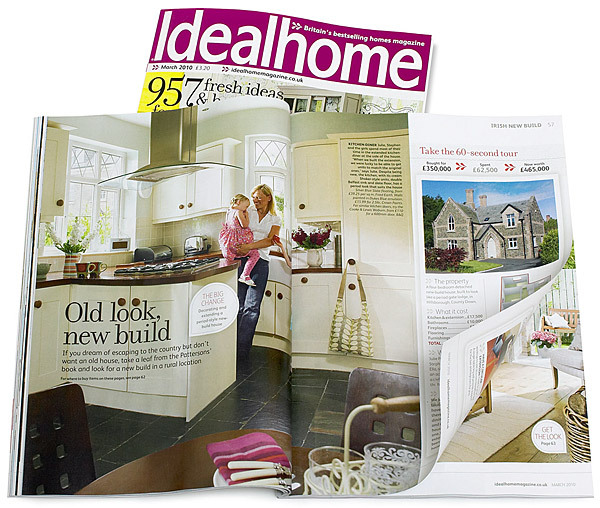 .. on pages 32 to 39 – featuring Davina and Ian Callen’s cottage near Seaforde in County Down. 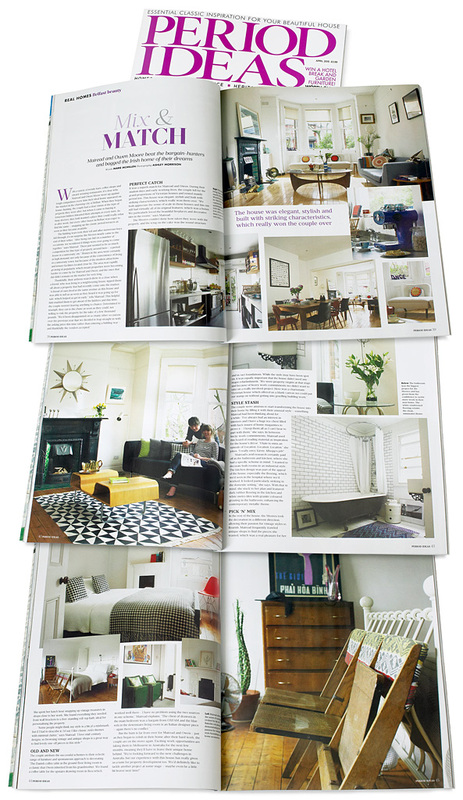 And ‘Beaming with pride‘ is the 3rd one…. 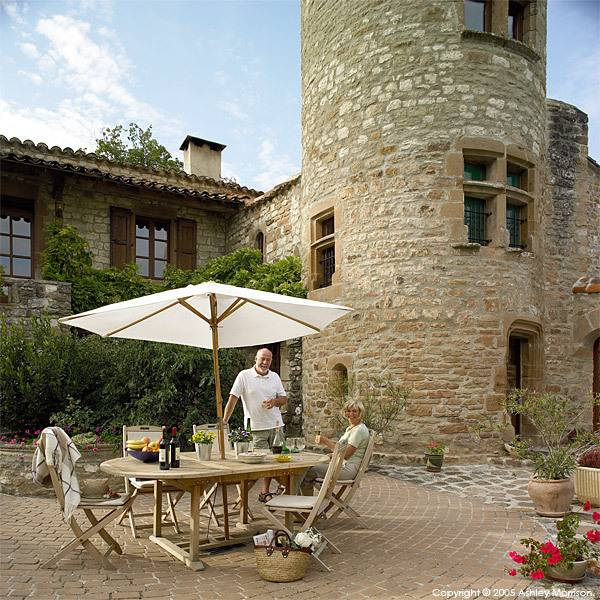 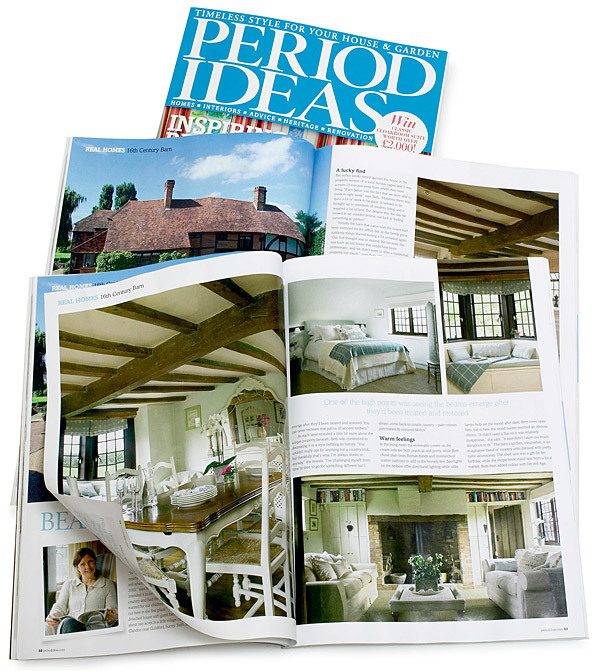 .. on pages 50 to 56 – featuring Beth and Jason Cooper’s 16th-century house in Surrey. 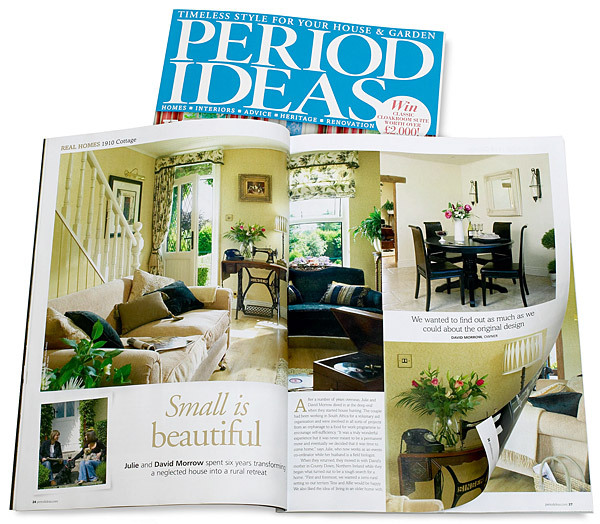 Small may be beautiful but that’s a lot – so a huge thanks to everyone involved – and especially to Steve at Chilli Media for all of these. 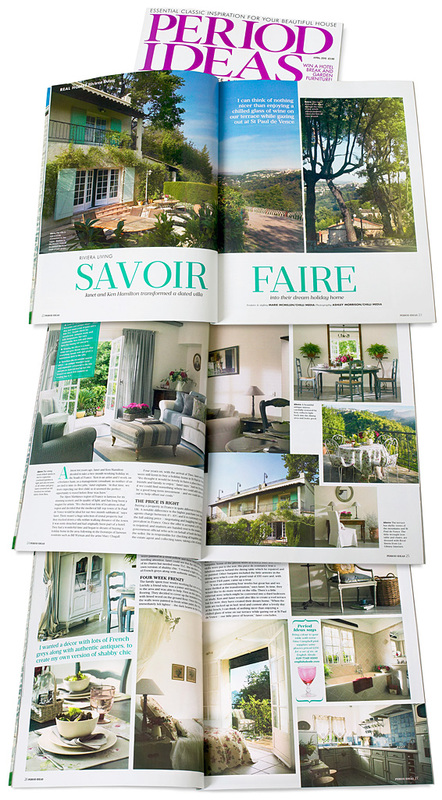 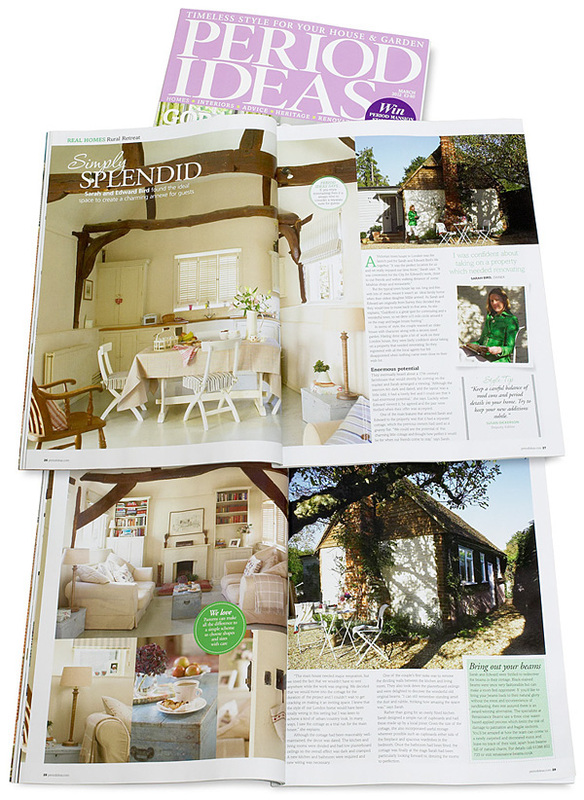 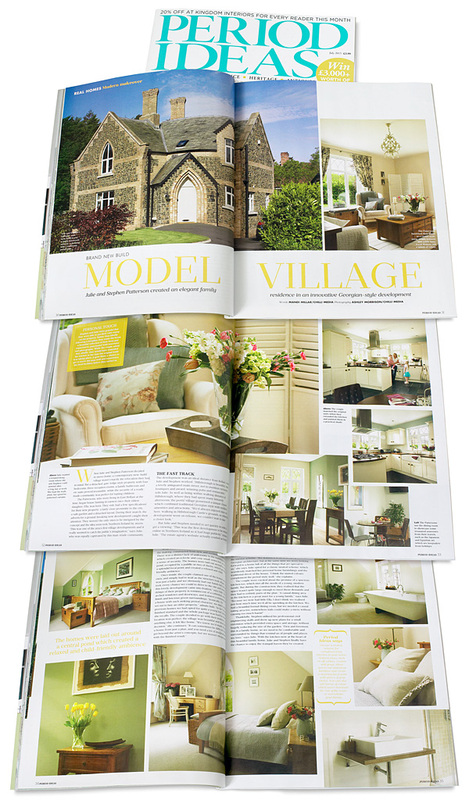 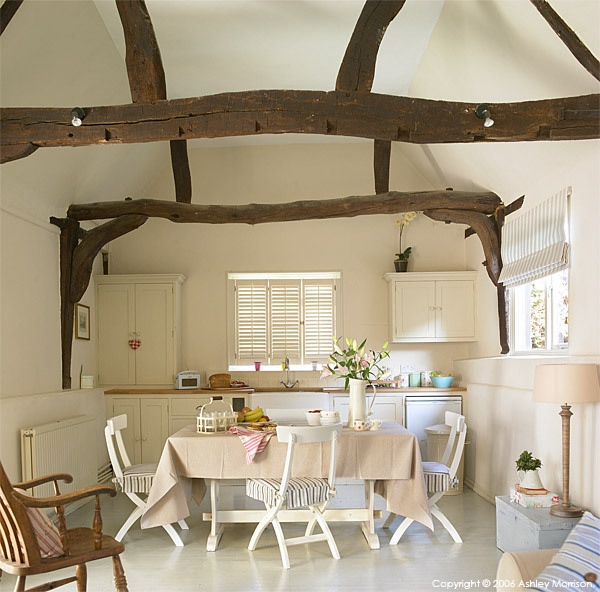 .. on pages 26 to 31 – featuring Sarah and Edward Bird’s annexe for guests in Surrey. 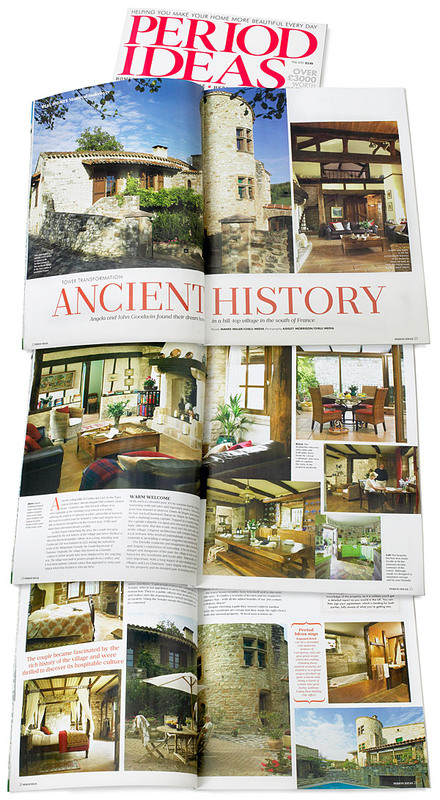 .. so a big thanks to everyone involved and especially to Steve at Chilli Media for this one. 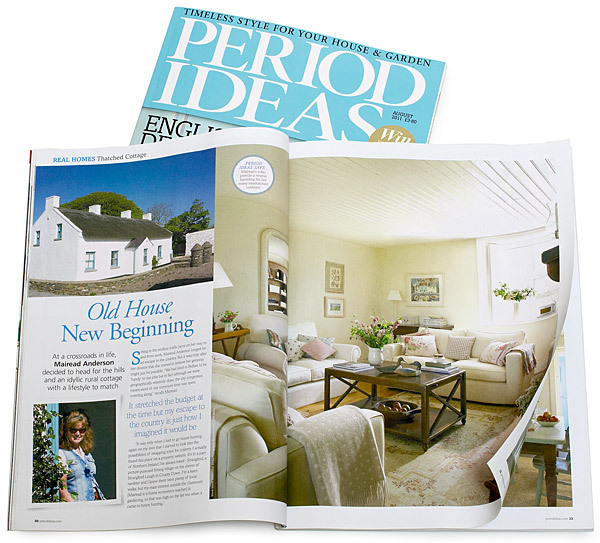 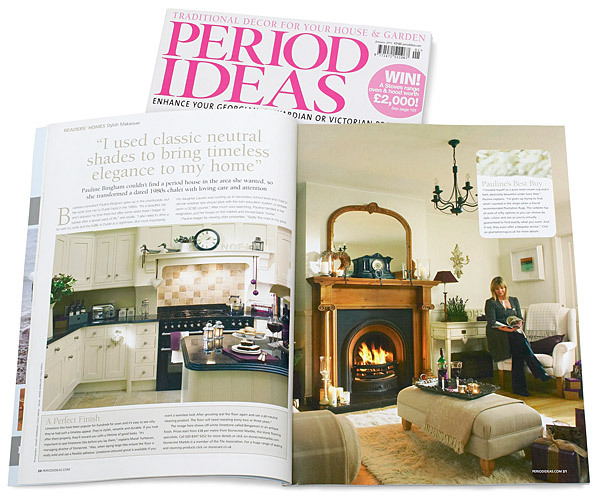 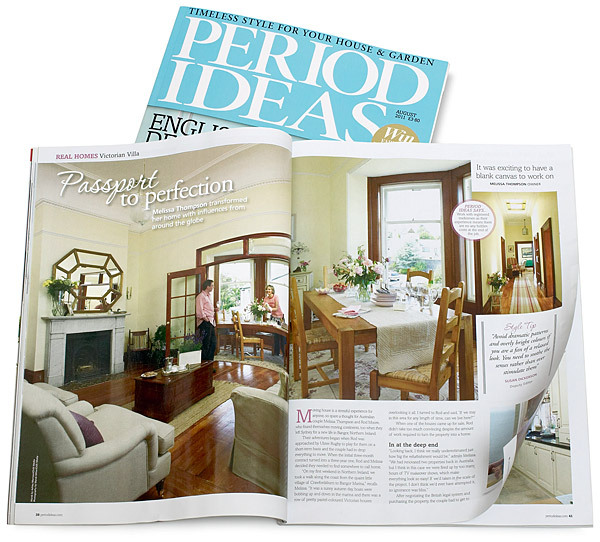 Two features in the January 2011 issue of Period Ideas magazine this month. 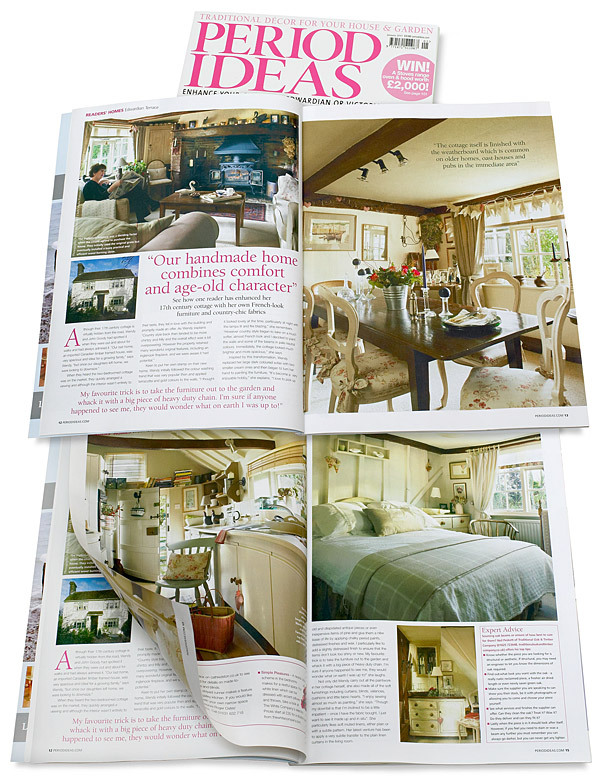 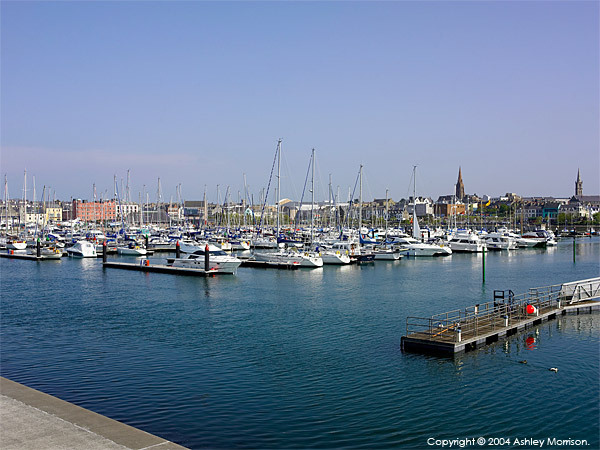 .. who’s 1980s chalet in the County Down town of Bangor is on pages 20 to 24. 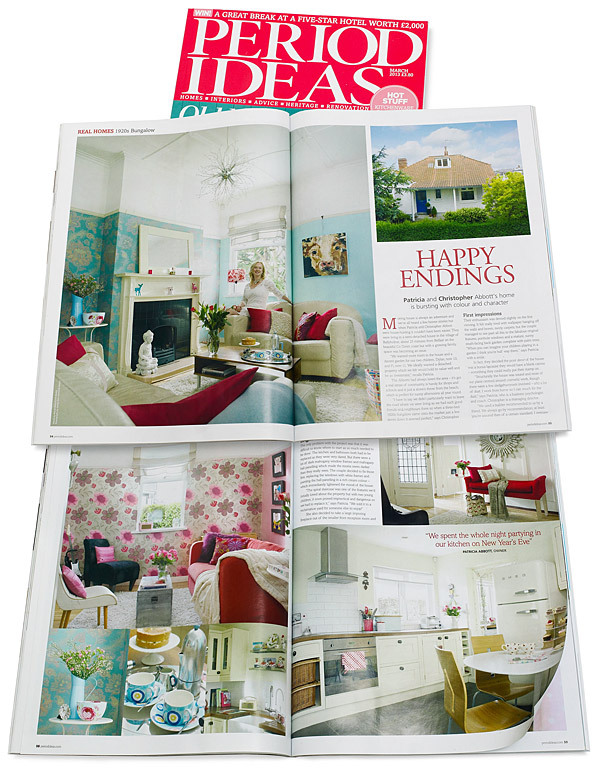 Plus a big thanks to Steve at Chilli Media once again, for making it 2 x 2 in a row.